I know: last time, I didn’t answer the question, so here we are again. In case you missed it, check out part one of this series! First, let’s talk Project Management. Accomplished project managers will have to excuse me for using a rather crude version of a concept that comes from this field. I live in the trenches as a learning professional, and my customers are typically internal. I may be accused of dummying this down a bit, and maybe that’s the only way I can use it. Please forgive. I’m getting to the answer to the question; really I am. But first, let’s look at this graphic related to service design. 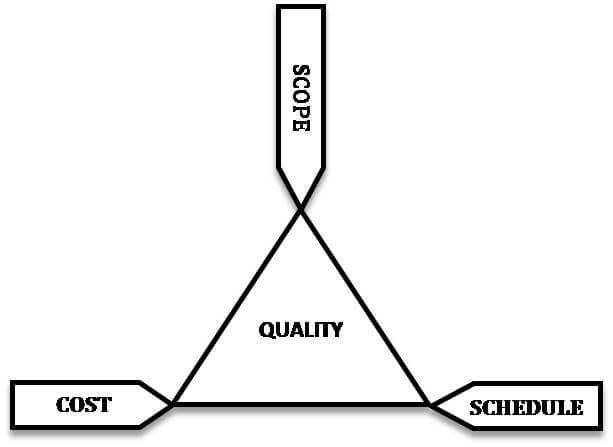 Here is the project management triangle, a model about the constraints of project management, where each side represents a constraint. One side of the triangle cannot be changed without affecting the others. Scope, cost and schedule all affect the whole. It’s a useful model. The model demonstrates that in any give project, you can have two, but never three—but you get to pick which two you prefer. If you want all three, keep dreaming. There really are no free lunches, no shortcuts to quality. Might some use this model to justify laziness or poor work quality? Sure, but that is a different issue. 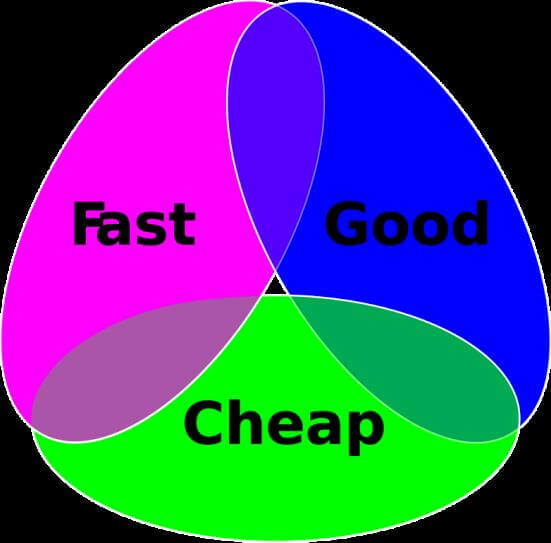 This model is really about managing the opposing forces of quality, speed and cost against each other. 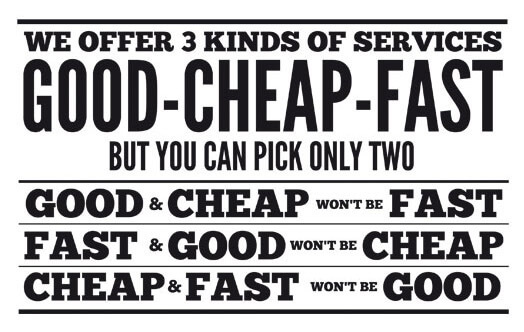 Good + Fast = Expensive. In this approach, the answer is always yes. We will drop everything, cancel all appointments, and getterdone! Just open your wallet. Yet this option is difficult, because deploying more resources on a project doesn’t necessarily lead to greater efficiency (See Brooks’ Law of software development). Often, it just takes what it takes! Good + Cheap = Slow. We will do great work, in between all our other projects and while waiting for the elusive SME (Subject matter Expert) to find time to sit down with us, since he has other priorities. Just don’t ask us for hard-stop deadlines. 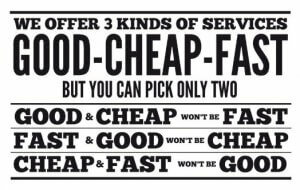 Fast + Cheap = Bad. It’s still true that you get what you pay for. We can tweak a PowerPoint deck and throw it into a software program and post it. But, don’t expect sound course development, learning objectives, or learning transfer. But the truth is, delivering a project where the result is low quality is rarely an option today. Some say you can have all three; others say you can really only pick one. The best chance of getting all three? It’s a small, agile team with adequate resources and flexible timelines, provided the team has enough expertise to get the job done. Now, back to our question. It depends…on what you want most. 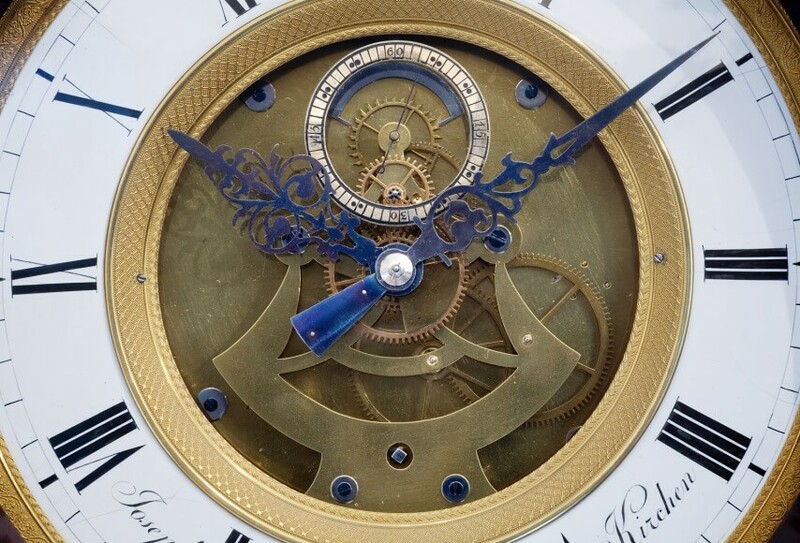 There are always trade-offs; the speed of business often doesn’t allow for as much time and resources to be dedicated to a project as we might like. We might not have enough dedicated staff. Timelines can be shorter than we’d like. So, you can pick two. Speed depends on what you pick as your focus. • How available and motivated are your SMEs, needed to provide content? • What sort of budget is available for graphics, software, and time-on-task? • What level of support is there for this project or program, from senior leadership? • Do you have current, quality branding, logos, and colors available? • Is there an overall instructional design and content development strategy already in place? • Who is empowered to make decisions about this project, in a collaborative environment? • Who is on the development team and is this team empowered, supported, and believed in? 1. Realize that beginning a new eLearning development program, internally, is a much bigger task than you may think. It needs staffing, budget, and a tool kit suitable for the task. Do not begin without careful consideration and consultation with a learning professional. 2. You can use a vendor rather than developing your courses internally, but custom course design is often billed by finished course minute. Know what you want, and what your budget is. Off-the-shelf course packages are available, often priced by head count—the number of people viewing a course. Over time, this can grow to be expensive, so be strategic in your decisions. 3. To do the job well internally, don’t rush to hire an instructional designer. Build your program. Hire a learning architect (a fairly new term for one that leads the learning function), a learning professional with broad and deep expertise to build a learning function that will accomplish your goals. In the end, this approach will be cheaper than attempting to do it without adequate resources, and you will avoid the resulting false starts. 4. Start here: find a person that you can trust to build it, trust him, and let him build the functionality you need. Support him. See number 3. 5. Structure matters. Structure can’t cause growth, but it can limit growth. The learning function needs to be structured well. See number 4. 6. Decide what you can commit to, and commit fully. You have to build a clear vision for your goals, and then staff to that vision. Resist trying to find shortcuts. See number 4. Beginning an eLearning function in your organization and producing quality, effective courses is a journey that takes time. It needs to be done well the first time, or you the risk having false starts, poor quality, and the loss of credibility and enthusiasm resulting in greater risk of eventual failure. Much depends upon the types of content that you will develop as well as what dedicated, trained staff are deployed for the initiative. Many tools exist to manage time lines, budgets, toolkit deployment, development priorities, and so forth. But I maintain that it isn’t really about that. It’s about leadership, and that requires a person: a leader-practitioner that knows how to get the job done, that you can trust to own and manage the eLearning program–for the entire journey. 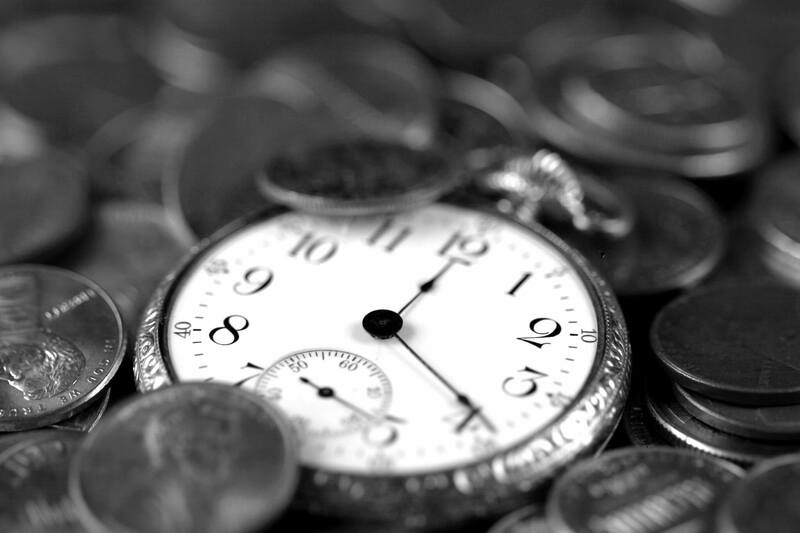 The answer to the question, how long does it take to produce an eLearning course? It’s been a very busy time for me, with lots of conversations happening, and in several of them, I’ve received questions related to how much time it takes to develop an eLearning course. I’m going to discuss this question here, but the answer is more complex than it may seem. The two-part series I’m writing here is provided to educate regarding the issues involved, not to obfuscate them. But those wanting quick, “pat answers” will be disappointed, and I make no apologies for this, as it’s an important subject. One instructional designer in a large, multi-national company said she had spent eight months on one course with an SME (Subject Matter Expert) that kept changing the game, moving the goalposts on her—deciding on-the-fly to alter the course design, causing considerable extra work. The ID (Instructional Designer) kept complying, and the changes kept coming. I asked her if she had a process for managing change requests, and she did, but the SME ignored it, and was disorganized, continually reacting to what he saw on screen, requesting seemingly endless changes. As a result, this course took the better part of a year to complete, and this was the first of a dozen courses that were anticipated: at that rate, this course development project would have taken twelve years! I was able to present some options for a sound course development process, to resolve some of the issues. Whether in government, Higher Ed, or corporate learning, we are asked this question in the name of deliverables—regarding what can we produce, and how long it will take. Consultants get the question, as do internal Instructional Designers. When the question comes, our feet get light and we feel that we might need to break into a dance. We’ve been asked to dance to this tune before, many times, and we hesitate. Why? So many reasons! We are tempted to dance with the questioner because we know all of the variables involved in producing good eLearning content, the inter-dependency involved in working with others in a collaborative environment, the frequent change requests that can come too late in the process, and the too-frequent disregard for deadlines on the part of SMEs who have their own challenges. 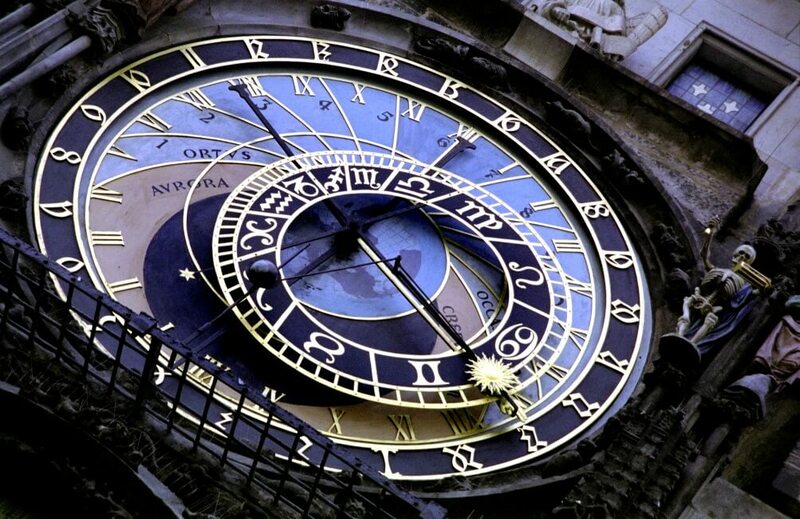 We are asked for hard-stop deadlines when so much does not depend upon us. There are just so many variables. We know that some of us can get much too artsy and take too much time tweaking an image, or picking a color or font; we understand that the speed of business necessitates that we need to keep projects moving. We also know what quality looks like, and how to achieve it, and we know that too many shortcuts won’t produce it. We know the right answer to the question…but we don’t want to give it too soon. We also know that more than ever before, competing in this space as a course content developer or learning provider is becoming more challenging, since eLearning providers and LMS vendors continue to proliferate and also to be consolidated, significantly enhancing course offerings and affecting pricing models. Those that remain must step up their game with sound, quality content that engages learners and meets business needs. Skillsoft alone boasts 19 million learners and 6,000 customers; such vendors are partnering with LMS providers and are driving down prices. Lynda.com has a different business model but is well supported. There are many content providers today, across many industries, including eLearning, mLearning, vLearning, talent management suites, and VILT (virtual, live platforms). The competition has never been greater; the need for excellent content and competitive pricing structures puts pressure on smaller vendors and niche players. So, you say, we will use a consultant and get content developed externally from a vendor? That’s fine…just be prepared to open the wallet. It won’t be cheap, and it shouldn’t be, for quality. One eLearning vendor that I talked with told me that his average custom course development price, with all factors considered, would be around $30,000–for one course. This pricing seems typical and may not be excessive given that in large organizations, perhaps thousands of learners will access it over time with no cost for travel, hotel, facilitation, and so forth. Smaller organizations don’t have budgets for this level of cost, however, and often opt for an in-house ID or independent contractors. Still others opt for subscription services for learning content, paying a monthly per-user fee, sacrificing all customization of content. Each choice has its own challenges and opportunities. There are many variables regarding purchased, vendor-produced courses, including whether or not you own the course content or are merely “renting” it. Subscription, per-user content vendors are growing substantially, for off-the-shelf content with varied quality. And, the more technical the content, the more assistance will be needed from internal SMEs for custom content development. Using a consultant can be the perfect choice, depending on the variables. How fast will it be? How expensive? How good? IDs get offended sometimes at the questioning. I’m good, and I’m fast, but I don’t do junk, we may say. We need to know who will be on our project team, or if we will be developing the content as a one-man band. If we will be developing the content in-house: what are the roles, the people that will assist and support, and are there dedicated SME/employee hours to spend on course development? Is there a budget for graphics? What software is there? These are important questions along the way in formulating the answer to that question: How long will it take? The question I’d be asking now, if I wanted to understand how to budget time and resources for an eLearning project is: What is typical, and what is realistic? The research I’ve cited stretches across many industries including 249 companies. Smaller companies, non-profits, Higher Ed…there are many variables, too many to account for, in this one article. The nature of the course content, industry, learning type and desired course length are all important considerations, as is the LMS (Learning Management System) on which the learning will be deployed. This list reveals the need for considerable expertise in the instructional design process, and for having an experienced learning leader to manage the program. Too often, an eLearning development program results in shallow, educationally unsound courses with little possibility of facilitating performance improvement or employee development. Over time, this becomes obvious, and credibility is lost. An experienced learning leader to manage the process is crucial for success, since quantity does not equal quality, and efficiency does not equal effectiveness. What’s the ultimate value in producing the learning content if it does not adequately support the business or result in meaningful people development? How do I answer the question, then: How long does it take to create an eLearning course? 1 Chapman, B. (2010) How Long Does it Take to Create Learning? [Research Study]. Published by Chapman Alliance LLC. www.chapmanalliance.com. 2 Karl Kapp. https://www.td.org/Publications/ Newsletters/Learning-Circuits/Learning-Circuits-Archives/2009/08/Time-to-Develop-One-Hour-of-Training. 3 Chapman, B. (2010) How Long Does it Take to Create Learning? [Research Study]. Published by Chapman Alliance LLC. www.chapmanalliance.com. I realize that this does not total to 100%, but I don’t know the reason for this. It’s difficult to account for everything, I think. Dis-empowered employees are a significant issue today. Professionals with skills and passion too often are forced to patiently do their jobs as best they can without clear direction and without the ability to make a decision and execute on it. This is a leadership problem. Perhaps there is no one to execute leadership, no one will allow it, or layers of ineffective processes are in the way. In the case of learning leaders—those that lead the learning function in organizations, or at least are trying to—this situation is unnecessary, and costs untold dollars in lost productivity and lack of innovation. The end result is that the business is not supported as well as it ought to be. Work environments are dis-empowering for many reasons, usually poor ones. Perhaps the person in the leadership role does not have the skills or passion to lead—this is a different issue than I am addressing here. Perhaps senior leadership is fearful or overly controlling—if so, it will limit the effectiveness of the learning function. Perhaps some people are in the wrong roles, where they cannot be effective—this is an issue that needs solving. Regardless, it is important for senior leadership to create an empowering environment in order to maximize their investment in the learning function, for the good of the entire organization. Now, with the disclaimers aside, let’s talk about how to empower your learning leader, a person with the training, skills, and passion to lead the learning function in the organization. There are only three simple, basic steps to success. Find the right leader, one you can trust. This is a person that is trained in the tools and processes of talent development, with the experience to lead; there is no substitute for this. If your learning leader lacks credibility, the learning function will suffer. This is also a person that respects the mission, vision, and values of the organization with high enough emotional intelligence not to alienate people. The learning leader must be able to create synergy and collaboration among the various functions of the business. If you don’t have this person, the rest of this article does not apply to your situation; enough said. Hand over the keys. Yes, you heard that right; hand them over! If you can’t do that, see #1. Otherwise, hand them over, and let the passion and innovation flow! Let this learning leader lead; have the rest of the learning function report up to him. Don’t handcuff this leader with layers of committees and cumbersome processes that reduce the agility of the learning function! Hand…them…over. This doesn’t mean that you cannot coach on business etiquette, people skills, understanding the business, or whatever—but the learning function needs more expertise than you have; otherwise, why did you hire a learning leader? You can’t coach him on the learning function, so you have to trust him. If you don’t, you will dis-empower the learning function and will wonder why no one seems to make any innovative decisions and why it seems that initiative and enthusiasm are gone, and you will want to do an engagement survey to find out what is happening. But the answers will be obvious to your learning leader. Hand…over…the…keys. Become okay with changes as the learning leader innovates. In any worthwhile endeavor, changes are needed—not once, but as an ongoing part of the process. Seeing changes happening does not necessarily mean that the wrong decisions were made initially. Perhaps those decisions were right for the business at an earlier time, but that time is past. Agility is more important! The ability to move with the speed of business and the standing permission to lead are more important than staying with past broken or outdated approaches to learning. See #2. Right decisions need to be made—from a solid learning and development perspective—to get to innovation. Unfreeze the current practices so that new ones can be developed, and allow it to happen, patiently supporting and guiding—without micromanaging. Effectiveness and Efficiency: Get the Order Right! A further note about the need for agility and change is needed, regarding the difference between effectiveness and efficiency. Much too often, senior leaders want to work on efficiency before effectiveness, which will always result in failure over the long term. What do I mean here? Effectiveness, or doing the right things, is the starting point in any initiative. A learning leader understands this, and it often results in the need to abandon certain practices. Peter Drucker said long ago that you cannot only ADD things, or you will OVERWHELM the business; you must also subtract, or ABANDON things. A good learning leader has a strong sense of what will work, and what will not. He will want to abandon some things; let this happen! It’s senior leadership’s job to protect and empower, not to be an enabler of poor practices. Do not force your learning leader to work on efficiency first—that is, improving the current practices. It is an exercise in insanity to keep attempting to perfect poor processes! This is like attempting to paint the interior walls of a house that has a faulty foundation; it might look prettier, but it won’t last. 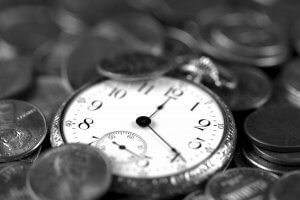 In a short-term situation, under the tyranny of the urgent, perhaps you will need to finish up with some current practices before retiring them, even though this may create extra work later; we all understand this, but this should be short-term only, and only when critical to the needs of the business. Resist the temptation to prop up poor practices to save face; in the end, everyone knows the truth and people will respect leadership more for owning the problems and supporting a new direction. In the oil and gas industry, when a well is no longer producing, the phrase used is: “plug and abandon.” Plug the well, abandon it, and move on. Who knows when it is time to do this? The answer is: Your learning leader. Let…her…lead. There are no shortcuts, and no cookie cutter approaches. You cannot apply “best practices”—an over-used term today—to ineffective systems and come out of it with much that is sustainable. You must be doing the right things before attempting to do them better! Let the process of building something systemic and sustainable happen, and support it. If need be, push back deadlines—which are often artificially imposed—and allow time for better processes to be developed. 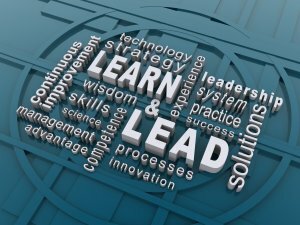 Empowering your learning leader is the first step to a better, more agile learning organization, but it is too often the step never taken. Find your learning leader, commit to him, support him, and let him lead. 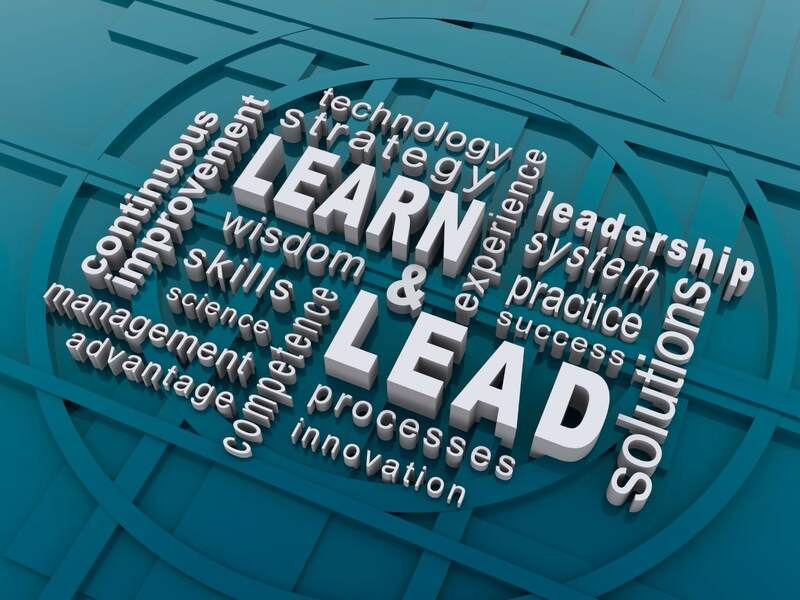 Hand over the keys, and expect more agility and change within the learning organization. In the end, it will help everyone to be more successful. We’ve seen it—what’s fresh becomes old; one ancient writer said that there’s nothing new under the sun, and learners can begin to feel that way. In one of my eLearning development initiatives, I was with a company that had never used eLearning, and everything I rolled out seemed fresh and exciting. Later, as compliance training modules were heaped on, learners began to hate the word “eLearning.” This is always a challenge. eLearning can get old fast, and if we are not careful, it can become nothing but re-purposed PowerPoint slides with too many words, read-and-click slides with eternally long voiceovers read by Ferris Buhler’s teacher, just as live presenters read slides in PowerPoint presentations when they are filled with too many words and the presenters don’t know how to engage the audience—or don’t care to. How do we avoid death by eLearning? It’s a constant challenge, but here are four ways that work for me. To avoid death by eLearning, have a trained instructional designer on your project team. This might seem obvious, yet in many situations, senior leadership merely utilizes people already on staff to develop courses, and the end result is often that no instructional design leadership and expertise exist on the team! Instructional design concepts and methodologies matter; it is important that what we produce is educationally sound. This is a topic for another post, but simply stated: Gagne, Bloom, and Kirkpatrick are people who should be informing your course design. I’ve been a Secondary and Higher Ed professional, and have a deep background in instructional design theory and practice. Without it, I would have produced mere data dumps: lots of information dumped on “learners” adding little value and not helping them become more competent in their jobs—which is, after all, the point. Can anyone produce eLearning? The answer is NO; not without training and experience. Anyone can place content on PowerPoint slides along with some bad clip art that violates all kinds of copyright laws to be hosted on an LMS (Learning Management System) for compliance and tracking purposes. I would question if that is real learning. In fact, it is usually not called learning, but training (I feel another post coming on: another time). A side note: I value educators, and have great respect for teachers. I appreciate Higher Ed style eLearning, and I believe that in many ways it is more engaging, especially in terms of utilizing Bloom’s Taxonomy for higher level skills in the cognitive domain. Yet, corporate eLearning has its place, and it is a very different application than Higher Ed eLearning; knowledge of educational principles is not enough to produce corporate eLearning that adds value to an organization, competence to the workforce, and management of its learning function. We can argue about whether this should be so, but it is. I hired an ID (Instructional Designer) from Higher Ed, and since I have been in that space I knew how to work with this direct report to quickly help him begin adding value, but there is a learning curve. Knowing about ADDIE, Madeleine Hunter, Bloom, Gagne and Kirkpatrick is important and still relevant, but much skill is needed to produce corporate eLearning that can provide engaging, sound, value-added content for your organization. Not to mention working effectively with SMEs (Subject Matter Experts—again, a different post). 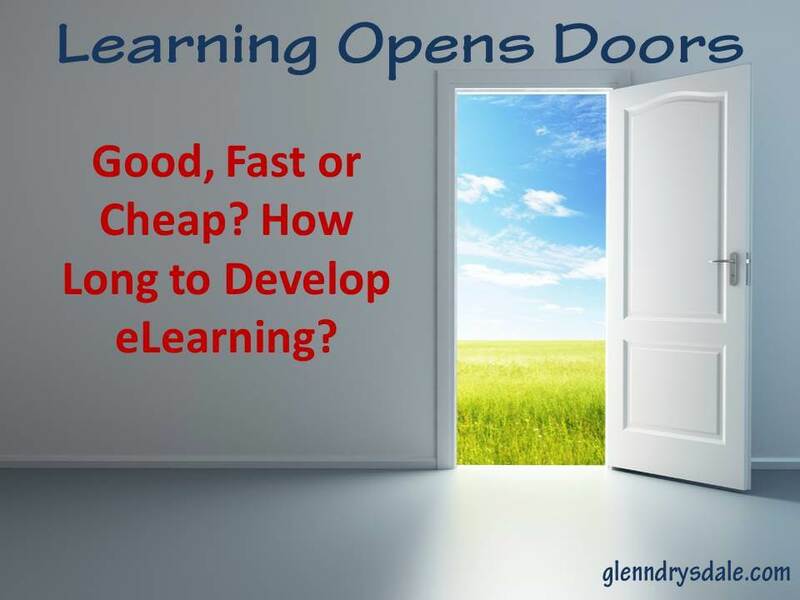 To avoid death by eLearning, do not equate “rapid development” with poor quality. There are some excellent rapid development tools available today (this is the subject of another post, in fact—how fast can eLearning be produced? ), but tools must be wielded by skilled people to be useful. I have had plumbers in my home once or twice that didn’t bring the right tools to the job, and some that didn’t seem to use effectively the tools they already had available. Both are important. Simpler tools wielded by a professional can accomplish more than elaborate tools in the hands of a novice—which can be dangerous. One plumber told me the story of a homeowner that decided to rent his own electric snake to clean out a drain; the man ended up with the snake wrapped around his body, and he sustained some significant injuries! Of course, excellent tools in the hands of a professional can be a thing of beauty. To avoid death by eLearning, have learners DO things! No, not merely to have them doing things, but doing things in support of the learning. The following strategies are especially important in this regard. Interactions: These can be as simple as requiring learners to click, select, consider a choice, fill in a blank, or listen to audio. Admittedly, this is not high-level interaction, yet engaging the learner even in simple ways does help, though we don’t want to make it overly redundant, or trite. Keep in mind that for safety, competence and compliance training, companies want to be able to prove that learners accessed all of the content; while we want to give learners choices, giving them the choice to skip content is often not appropriate. We know that our learners will try to answer an email, take a phone call, or even have live conversations while a course is on screen. IDs become indignant about such distracted learners; so, while it is not admittedly high level activity, at times ANY activity can help keep learners involved with the course. Scenarios: Give your learners choices! Adult learners want this, or they feel insulted by dull, generic content that they could just as easily read from a book or the internet. Scenario-based learning requires a higher level of engagement. This is where Bloom can inform your course design and you can move learners to higher levels of thinking. Scenarios that call upon learners to make choices similar to the ones they need to make in the workplace, utilizing concepts being taught in the course, make a difference. They utilize adult learning principles and keep learners much more engaged, increasing the odds that the content will result in real learning at deeper levels, even resulting in behavior change and better results on the job, after the learning. Media: Today, sound is a part of our lives; music is part of our everyday experience. Why should it not be part of our learning, as well? Appropriate music clips during time allowed for reading slide content (only when such content is necessary) can put the learner at ease; it can be relaxing and, according to some studies, can enhance the learning environment. Video, as we know, is more engaging than text or even audio, though working with video in eLearning courses requires more skill, software, and company bandwidth. I am glad to make recommendations regarding this issue. Frequent screen freezes and course re-starts are not engaging for learners. Voiceovers: Typically a part of corporate eLearning, voiceovers can be helpful, but pitfalls exist. Adult learners like choices, one of which is to read at their own individual speed, which is difficult if someone is reading the words to them. Voiceovers should not merely read the words that are already on the screen. Computer programs with voices for reading eliminates the need for humans to do the voiceovers, though they often sound unnatural and are more distracting than helpful. I like to get my SMEs to read some, and they usually love it (though they won’t often say they do. One of my SMEs sent me this message, months after we finished a course together: “Found a new voice worthy enough to replace my all-star, MVP caliber vocals, yet?”). In scenarios, you will need multiple voices for different parts that will need to be read in character. Voiceover talent can be hired, as well. Some voices are better than others. Finally, to avoid death by eLearning, include a little personality and a sense of humor in your courses! Why not? Life is too short to be serious all the time! A great placement for humor is within scenarios; learners appreciate this, because there is often humor in the challenges we face in the workplace every day. We all tell stories about the interesting, funny things that happen on the job. Why not build it into your learning? No, we don’t want humor just for its own sake; it has to support our learning objectives. Still, some appropriately placed humor can liven up the learning and increase learner engagement, and even improve assessment scores. Find interesting voices, with color. Use graphics that add a touch of humor—always supporting the learning and never inappropriate for the workplace, but still engaging. eLearning is a graphics-hungry media. You never have enough, if used well. Don’t only produce compliance-related courses. Find topics and content that will support the business, add value, and improve the competence of the workforce in professional skills, as well. Topics such as emotional intelligence, leadership, and management principles are important, and they will round out your curricula and add variety while benefiting learners as well as the organization. Be sure that everything in your course WORKS as intended. Humor won’t minimize the effects of clunky course functions, screen freezes, links that go nowhere, and so forth. And finally…make it fun for the ID team, as well. Enjoy what you do, and have fun at the business! The end result will be more engaging for your learners and for yourselves. To avoid death by eLearning, utilize these principles. When starting down the path of developing eLearning, especially in new initiatives, it helps to find a mentor and to be part of a team that all shares the same vision; after all, we are learners, too. We all have to add value to our organizations, and it helps when we can do it as part of a team. Most of all, enjoy the journey! To join in the discussion, please comment! 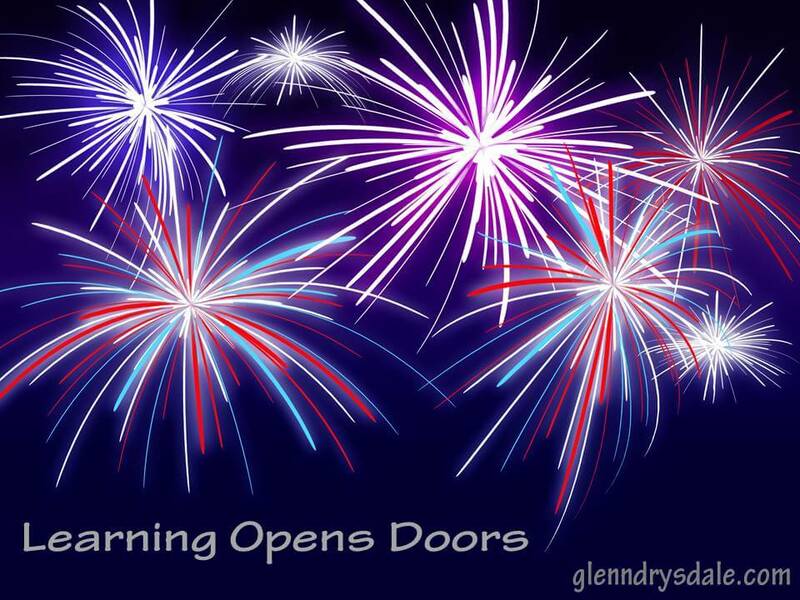 After procuring the very first LMS for our company and getting everything up and running for a period of time, it was time to mention to senior leadership my next step in the phased implementation that I had planned: the launching of a new eLearning program (See glenndrysdale.com for related articles). I had previously shared the picture of a gorgeous, red Ferrari. I told everyone: we own that Ferrari now (our new LMS), and that it was time to get it out of the garage and start the engine, kick the tires, and get it ready to drive—but that we would only be ready to shift into first gear, then second—and later, we would be able to see what this baby could really do! It was my way of keeping a phased LMS implementation as our focus. The next phase of the implementation was eLearning content development. It was time to shift gears, and rev up the engine. Given the importance of this decision, I decided to purchase some tools in advance, including rapid-development eLearning software, do the hard work of learning it, and develop a pilot course so that senior leadership could conceptualize exactly what I had in mind. In addition to purchasing the eLearning software, I signed up for some training on that software; I highly recommend this step. The cost is nominal, and the expertise gleaned will create the capacity to move much quicker in implementing an eLearning plan (I don’t sell anything, or advocate for any services, on this blog but if you desire suggestions, post a message and I’ll be glad to share some resources I have used). Who are my learners—my audience, and what type of content will I be producing? How technical is the content (which requires more expertise in production, better software, more advanced graphics and video capabilities). What are the technical capabilities of my learners’ computer systems and where are they primarily located—that is, do they have laptops, smartphones, desktops with more computing power, stable and high speed internet? For example, many laptops with limited connectivity and memory cannot handle much video, and learners will be frustrated with screen freezes and such. These issues need to be considered carefully, prior to producing content. What type of learning objectives do I anticipate—will we be focused on compliance training, safety, technical content specific to an industry, competency development, new hire orientation, or what? Each type of content has its own challenges and opportunities. Do I have a source for quality graphics to support desired content? ELearning is a graphics-hungry media—otherwise you will be producing read-and-click modules that no one will find engaging (another topic on my blog). How can graphics be secured? How many courses are anticipated, at least initially, and is the content new or will it be re-purposed from existing content—whether eLearning, instructor led courses, or other learning content? Who owns this content, and where does it reside? Who are the identified SMEs (Subject Matter Experts) that can be utilized for content development and how available are they? Do you have good relationships with them? Who will manage quality assurance and uploading and testing of courses into the LMS? Will your LMS administrator have time, and training, to do this? If not, who will, and what training needs to be secured? What human resource professionals are available to assist in producing the eLearning content, whether full time, part time, or contract? Who will be your in-house voice talent (you? ), and who has editing capabilities for text? Who is your key IT person available to assist you with difficulties in uploading content to your LMS if you experience them as you navigate these new processes? Who are the key stakeholders and potential eLearning champions that you need to develop relationships with and invite to the showing of your pilot course? After careful consideration of these questions, and after securing both the eLearning software and your training on it, produce your pilot course. Do this with few promises in terms of delivery dates, since you will be learning throughout the process as time is available and will be determining the capabilities of those that might be assisting you—as well as your own. Do your other work, and develop your pilot quietly, not sharing much about it with others, until your confidence grows. Of course, this advice can be altered in large companies with lots of training staff—I did not have this luxury at the time. Fortunately, in my own case, this pilot project was done on a time-available basis. I didn’t say much about it until the course was ready, and then I got the keys to the Ferrari, invited a few key senior leaders to my office, and took them for a drive! I had a clear audience and purpose for the pilot course, interactive content mapped to a real learning need, voice-overs, high quality graphics (much of it purchased), video clips that I had captured myself on an HD camcorder, and even some music clips in a few places. I showed the course on my own monitor in my office, for key stakeholders that I hoped would become my eLearning champions. It helped them conceptualize the content and the value that it could bring. The response I heard, immediately: “What do we have to do to get more of this?” I knew then that we were ready to begin, in earnest. Once the vision is clear, enthusiasm will ramp up and stakeholders will be willing to invest in the project, and even to champion it—all of which is crucial to your success. From there, it will be easier to secure the investment of time and resources needed to ramp up your eLearning initiatives, for the benefit of your company. It’s a journey well worth taking. Servant Leadership: What is it, Really? The problem with keeping people under one’s thumb is that all you can get done at any one time is what you can fit under it. Using the term “Servant Leadership” has become popular today. Unfortunately, it is being used by some that claim to practice it, but don’t. Too often, leaders have a blind spot in this regard. They have used the term so much that they assume they are modeling it when in fact they might not be. Servant leadership is wrapped up not in theory, but in practice. That is, servant leadership is about how we treat people. Talk is cheap, as we have often heard. How do we know that our words and management practices match up, when we claim to be servant leaders? In my blog, I will frequently highlight servant leadership concepts. For now, let’s focus on controlling leaders versus servant leaders. What is the difference? Controllers always try to control, even in areas that are not their responsibility. They seek to convince others that they know things: that in fact, they know best. They have a drive to see their way implemented. If you have worked with such a controlling person, you know that if you plug one hole, such a person will try to come in through another hole to exert undue influence. If you plug all visible holes, these controllers will go underground to exert control “below the radar.” They rarely share credit, but are quick to share blame. Controllers rarely change. Servant leaders, on the other hand, are quick to share credit but not blame. They will not “throw you under the bus.” Such leaders serve first, and lead second; they seek to demonstrate that they value the opinions of others and they act in accordance with that belief. They are willing to act as coach and supporter for others that implement solutions and are glad to see them receive appropriate credit. They heap praise, not blame. Traditional leaders too often fear that less work will be done, or that it will not be done as well, if they are not controlling the process. On the other hand, servant leaders know that more gets done when people are valued, trusted, supported, and celebrated for their abilities and achievements. This does not mean that process is unimportant or that people should be left to do things inefficiently; rather, providing appropriate guidance and clear process–and then allowing for initiative, enthusiasm, and innovation–yields greater results. One might object that being a controller versus a servant leader are not the only two options, and I would agree, except that I also believe traditional leaders tend toward greater control over time, resulting in a loss of initiative and innovation. How much more would get done if leaders provided the right processes and then empowered others to take ownership and initiative, rather than feeling the need to control the outcomes? Again: The problem with keeping people under one’s thumb is that all you can get done at any one time is what you can fit under it. Servant leadership: regardless of the rhetoric, we really do know it when we see it; and we also know when we see the absence of it, regardless of the rhetoric that we hear. Many will soon join the frenzy of New Year’s resolutions and new beginnings, and there is good in that; however, the real power of a new year is in the endings. 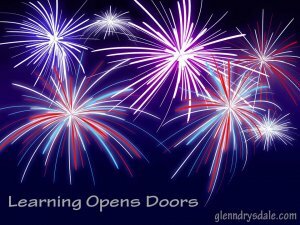 While a new year brings new opportunities and challenges, it’s the endings we acknowledge that allow us to begin again. Transition experts tell us that there can be no new beginning without an ending. New relationships often begin because others have ended. New jobs occur because some were lost, or left. New opportunities happen because previous ones played out. I have never been one to focus on the resolution phenomenon, and research tells us they often don’t pan out. Oscar Wilde put it this way: “Good resolutions are simply checks that men draw on a bank where they have no account.” Whether or not you like to make them, realize there is often more power in your endings. You might not be able to make a new start, but maybe you can make a new ending, which usually leads to a new beginning. The Chinese philosopher, Lao Tzu, said: “New beginnings are often disguised as painful endings.” The truth is that every ending can be a new beginning–if we empower it to be. Turning the page can be a powerful feeling. At this new place, let’s take stock of what has ended, acknowledge the endings, and have the emotional power to begin again…in all kinds of ways. Lessons learned about LMS implementation, software training, internal marketing, and user adoption. Not that long ago, I embarked upon an adventure: implementing the first Learning Management System (LMS) in my company. The first article looked at identifying needs, making the business case, choosing a vendor, and obtaining senior leadership buy-in. Here in Part 2, we look at implementation, software training, internal marketing, and user adoption. Disclaimer: I am not selling any LMS! I have absolutely no attachment to any LMS vendor. In fact, many articles written about LMSs are provided by vendors with an interest in selling to you. Not me! I’m unbiased, and will not be recommending any LMS vendors. In Part 1, we discussed the steps needed to research the LMS market, cast a vision, and negotiate with the chosen LMS vendor. Once that is completed and you have secured your LMS, implementation is the next part of the journey. Keeping the appropriate mindset, and implementing your LMS in phases, will be your keys to success. The single sign-on feature allows users to access the LMS from a secure employee portal without extra user names and passwords. This is strongly recommended—otherwise, you will need to manage issues related to forgotten passwords and user names, passwords needing to be reset, and so forth. This is a headache to be avoided, especially for small and mid-sized companies without plenty of internal IT support. This single sign-on feature costs extra (doesn’t everything? ), but it is well worth the extra cost. The historical training data integration issue is more complicated. In our case, this service would have cost as much as our entire first-year LMS subscription. In addition, for past training records to be integrated into the LMS, there will be detailed expectations for how that data is provided to the LMS vendor, and this data preparation takes significant time. In our case, even though the inputting of the historical data took considerable time, I envisioned this as an ongoing phase of our implementation, so expectations were realistic. That is, people could not access all of their past training records until those records were entered into our LMS by our full-time training administrator (who administered the LMS as one of her responsibilities), but I communicated this in advance. This worked fine, and the cost savings was substantial. As you begin the implementation phase and move into building and using your LMS, many questions will need to be answered. Having the right mindset will be important for your success. How you navigate the learning curve presented to you and how you champion your vision will be important. It also will be important not to become overwhelmed with the many tasks that will present themselves. Keep your vision clear; create and use key talking points to keep others focused on the vital tasks, and focus on your implementation tasks, one by one. How big is the learning curve? It depends on how many features you want to implement in your LMS—and how soon. In an enterprise-level LMS, it is recommended that a minimum of two full-time administrators be on board to run it. If not, the tasks may become overwhelming and project failure could be the end result. In my case, we had one administrator who was not full time on the LMS, and I served as the system/content administrator in addition to other duties (I will explain these roles shortly). At the time of implementation, we had fewer than 1000 users on the system. I knew that with our level of staffing I had to be realistic—and help others to be so—about how quickly we could utilize all of the functionality of our LMS. In addition to building your LMS home page with your branding and other choices, and learning to navigate the various menus, you will need to learn about the tools available for you to use in building out your various pages. You will have pages for ILTs (Instructor-Led Training classes), CBTs (Computer-Based Training courses), enrollments (where users will self-select learning content), a learning history page (where learners can see past completed training), a tools or resources page, and other pages depending upon how you want to configure the site. Your main page will link to all of these other pages. Navigate your learning curve by looking at your shopping list—the items you intend to utilize in your LMS—and prioritizing. Take advantage of the LMS training tools provided: online help, virtual instructor-led training, phone conferencing, and so forth. System Administrator: This person interfaces with your internal IT group and the LMS vendor to navigate the implementation process. Content Administrator: This person builds out the site, including graphics, links, and text. Training/LMS Administrator: This person builds the site with training records and schedules, historical training records, and the tracking and reporting on the training functions being facilitated by the LMS. In my case, I took the first two roles, and our Training administrator took the third. It was challenging but also a lot of fun. Other roles will come later, in a phased approach. You will be excited about implementing the new LMS, as will others, especially those to whom you sold your initial vision. Senior leadership will be eager to get the product in front of users to justify costs being incurred. Yet, everything cannot be built at once, and priorities must remain clear. Here’s what helped me. 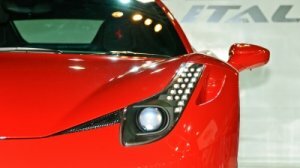 In one of my PowerPoint presentations, I included the picture of a gorgeous, red Ferrari. I told everyone: we own that Ferrari now, and it is time to get it out of the garage and start the engine, kick the tires, and get it ready to drive—but that we would only be ready to shift into first gear, then second—and later, we would be able to see what this baby could really do! It was my way of keeping a phased implementation as our focus. In addition, when people asked how soon we could have certain functionality, I often said that our phased approach took into account our available time and resources, and if some stakeholders wanted things to happen more quickly, I would be glad to accept supplementation of those resources. This approach kept us on track, and kept our implementation expectations realistic. You are the LMS Champion; you are the vision-caster. So, champion your vision! Communicate. Write out the phases of your implementation—that is, the order in which your LMS functions will roll out to users. Be sure these phases are clear. Communicate them to stakeholders and users; this will help them to be patient and to maintain their enthusiasm for the project. Use promotional e-mails, informational PowerPoints that can be shared widely, and—perhaps most important—a simple user guide posted on the home page of your LMS and e-mailed company-wide. This is the time to begin working on your user adoption rates. You will be able to track and report on user activity, so encourage regular LMS use. Change your pages enough to keep them fresh, and visit classes and meetings to do short orientations about how to use the LMS. Send out short pieces about the web-based training courses that people may take, when you have developed some. I did all of these things, and also wrote short feature articles, with user pictures and quotes, about employees who were using the site and what they liked about it. I made certain to get across the point that the LMS was user friendly. Some short screen capture videos are helpful, to send to users that can’t seem to navigate the LMS from using text-based job aids, alone. Try to design your site so it takes no more than three clicks to access any content. Tell people this is the case, and show them. When people saw they could enroll in a class, or start an eLearning course, in three clicks, the intimidation factor lessened, and user adoption rates were enhanced. Make sure your basic user guide is polished, accurate, and widely distributed. Be sure users know who to contact if they encounter problems, and get any bugs fixed immediately. This will boost user confidence. In my case, we had one glitch having to do with how our nightly Oracle feed to the LMS sent over some international employee numbers that the LMS could not recognize, causing glitches with the Single Sign On feature for those users. I worked on the problem continually until it was solved, and I remained apologetic and communicative with those users who were having the problem. Use site logos and graphics that are appropriate for your company and your users. It is vital to keep an accessible, friendly feel to the site. You will choose colors and templates early in this process. Be sure they are appropriate, and high-quality. A graphic/instructional designer can help. Your IT Department is your friend. Cultivate relationships with those in IT that will support this initiative; be appreciative of their support, because you will need it. Don’t add too much functionality at once, or you will not be able to run it. For example, performance management functions, social networking and other important pieces will likely need to be built, and people won’t understand that this can’t all happen at once. Include these pieces in your phased approach, and communicate about when they likely will be available. In my case, I used a three-year phased approach. Once people get on your site and see what it can do—when they see that Ferrari out of the garage and moving—they will be excited as you run through the gears and add functionality. Try to maintain that excitement through your vision-casting and clear communication. It’s difficult to keep the car in the garage until it is ready to be unveiled, but it’s exciting when this LMS journey gets under way. In time, you will see the training function in your company supported in ways that you will appreciate and value, and you will wonder how you could have functioned without it. As that happens, more funding and support (both money and staffing) will likely be made available, to implement later phases of the project. This includes the development of an eLearning program for your company! But that is the subject of another post. Above all, enjoy the journey. It’s one worth taking. Sign up for my newsletter and I will send some helpful hints for developing RFPs to send out to your vendors of choice, some negotiating pointers, and helpful hints on designing and using your LMS of choice. This article, as well as Part 2, describes the lessons learned from implementing the first Learning Management System (LMS) in my company. It was a rewarding venture, providing functionality we needed for some time. The experience yielded many lessons that might be helpful for others. Here are some of the lessons I learned along the way. Is your company ready to embark on the journey of acquiring your first LMS? The answer to this question might be “Yes,” even if employees don’t yet know what one is. In our Learning & Development group, manual processes and procedures, and especially tracking and reporting of course offerings, had become difficult. It was no one’s fault; we simply had outgrown our systems. I felt it was time to share a new vision for a better way to support the training function in our company. When I first mentioned to senior leaders the need for an LMS, I was met with this question: “What’s an LMS?” Admittedly, we were at that time a smaller company of under 1000 employees, and it was ambitious to think that we would procure an enterprise level LMS–but it was needed. We ended up with a great system that did everything we needed, and more. Here are some practical ways to proceed. 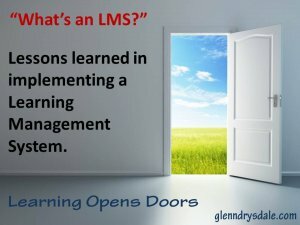 Begin by learning all you can about the LMS world; there is much to know! A Learning Management System (commonly abbreviated as LMS) is a software application for support of the training function including the administration, documentation, tracking, and reporting of training programs. This can include support for classroom and online events, as well as e-learning programs. The LMS also can be a learning content site where your learning content can be hosted and accessed by learners (LMCS—Learning Management Content System). A robust LMS should be able to do virtually anything that a company needs in order to support the training function, and there are many possibilities—including some excellent options for social networking. A quick Web search will reveal the possibilities. Many business or enterprise-level LMSs support talent management add-ons to manage the performance side of human capital, though this functionality can be expensive. Again, you will need to do your homework. We wanted to formalize job roles with core competencies that we could use to map performance reviews and training options, and then move into succession planning and talent management. We also wanted to host CBTs, or Computer-Based Training. I developed a specific shopping list; I knew what I wanted. You will need to make a decision about what type of system will be best. Will you purchase software and ask your IT group to install, update, and run it? Or will you opt for a Software-as-a-Service (Saas) model, with a monthly subscription based on your number of users—and where, typically, the hosting can be done by the vendor, allowing your IT group to be largely free to work on other projects? Doing your homework is a process; allow plenty of time for research, discussion, and networking. If you shortcut this process, you won’t have a clear and compelling vision to share with your company. One of our needs centered on processes that needed better support in our company. For example, we needed a delivery vehicle for our performance review process. I was asked to assist with a redesign of this process, and the need for such a delivery vehicle became apparent. How would we push out the performance review process to supervisors and their direct reports? How would we track and report on it? This was a challenge. I focused our team on the issue: We needed a delivery vehicle, and an LMS could provide it, along with the tracking and reporting desired. Often, selling a vision is about timing. If frustrations are mounting over inefficiencies and the inability to see clearly what is happening in the organization, it is prime time for selling the LMS vision. If there is no felt need, create one by sharing about what the future could be, with better systems—yet without being critical of the present reality. Sell your vision to key stakeholders—those with the influence and ability to make the vision a reality. Remember: Without executive support and sponsorship, you are not ready to move forward. Also remember: A key IT stakeholder can be your best friend. Create talking points to share what an LMS can do for the company and what problems it can solve. Tell the stakeholders how it can benefit the company and why it is worth doing. An old commercial once asked: “Where do you want to go today?” That’s the spirit to capture. Once key stakeholders begin to share your vision, they will want to kick the tires a bit, so have models to share with them and arrange for demos hosted by LMS vendors. Research is important in determining what vendors you will want to consider. Much of this research is available on the Internet and at learning conferences. I attended the Training Conference & Expo and found all I needed—classes, networking opportunities, and vendors. I also found excellent information from Gartner’s Magic Quadrant. LMSs represent an $860 million market of more than 60 different providers. The six largest LMS companies constitute approximately 50 percent of the market. Approximately 40 percent of U.S. training organizations reported that they have an LMS installed, a figure that has not changed significantly over the last two years. Only 36 percent of small businesses are using an LMS (Bersin et al. 2009). I prepared an RFP spreadsheet (Request for Proposal), which I sent to my selected vendors. On that sheet, I placed all of the specifics of my shopping list, the items I knew we wanted and needed in an LMS. This included information about features, functions, IT specs, hosting options, tracking and reporting, and other items. When I received the RFPs back, I was in a better position to determine what vendors I wanted to talk with further. Be sure to include items related to the training and support offered by the vendor as this is an area of great importance. After I interviewed the vendors, I had knowledge of them, as well as their pricing. I decided on my first-choice vendor. With stakeholder support, clear knowledge, and vision, I was ready to present the plan to senior leadership for approval. If you have created and shared a compelling vision based upon company needs, and have a clear first choice of vendor, it is the right time to move forward. Don’t mire them in all of the details of what you know; share with senior leadership the reasons for your choice of vendor and secure the green light for the next step. I believe everything is negotiable—whether buying a car or obtaining a service. Once software is built, if no one uses it, it sits on a shelf (or a server). I went into the discussion with my vendor with this mindset. I found there are levels of pricing, and plenty of choices. The end result of my discussion with my vendor of choice: a bid significantly lower than what other comparable vendors had offered, with more of my desired features than any of the others. If you don’t ask, you will never know. I obtained an extra administrator’s seat, in case we needed it, because I asked for it. I secured some performance functions that saved us significant dollars. My chosen vendor offered a free CBT package for the first year, a major plus for us. Finalize the bid, secure it, and then move forward. I prepared a PowerPoint presentation about my vendor of choice, which shared information about them, what they offer, and why I chose them. I answered two questions in my presentation that had not yet been asked: Why and why now? 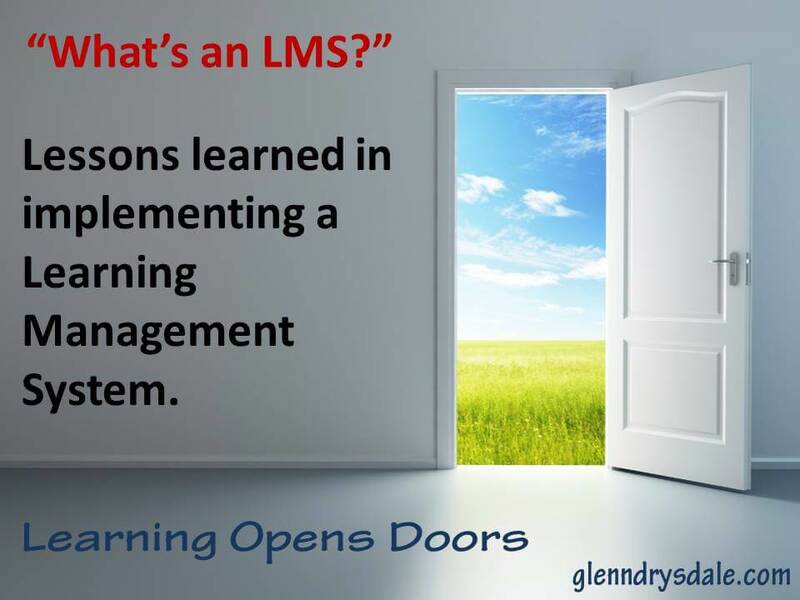 That is, why do we need this LMS, and why do we need it now? Then I shared the pricing, and since the vision was clear regarding what the LMS would do for us, and who our vendor would be, the price was seen as reasonable. We moved forward, involved our legal counsel in vetting the vendor, and everyone was on board with the decision. We were on our way. NOTE: The second, related article will discuss the implementation phase, software training, and phasing in LMS functionality over time. It also will discuss internal marketing and user adoption rates, etc. I have been fortunate to have known many great teachers in my academic, business, and personal areas of life. 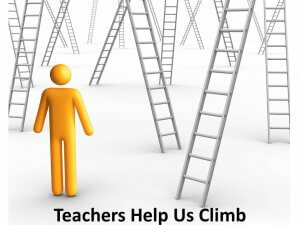 As a student, and later as a secondary English teacher, I saw many everyday heroes in the trenches with students, handling a myriad of needs, challenges, and issues, laboring often unseen and unnoticed–except by their students. Changed lives were an everyday occurrence, and parents were grateful. The love of learning was on display every day. As a teacher, I loved teaching. I still miss the daily interactions with students and other fellow learner-teachers. In this post, I won’t talk about what I don’t miss. This not only happens in public education. It also happens in corporate America when learning professionals help learners develop their competencies so that they can be successful in their jobs. When one of these learners closes my office door and says, “I need to talk about something,” the real learning often begins, and it is for real. I am honored when learners share like that, and it is a sacred trust. What might you add to the list?